OLED or Not, the New PS Vita Seems Fine! You might have seen the comparison pics—or even the video. 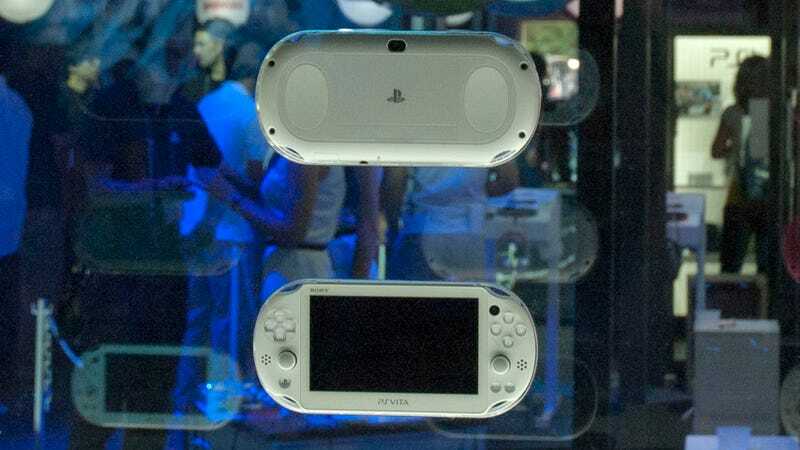 The new PS Vita slim features a LCD display instead of an OLED display. But you know what, it's no biggie. I've been able to play with the new Vita this week in Tokyo. It's not a bad redesign at all. In fact, it's pretty good. When you don't have an OLED screen right next to the new PS Vita slim, the display seemed more than capable. Yes, it might have a slightly more yellow tint, and yes, the display doesn't handle dark colors as well as the OLED screen. But, for an LCD display, it certainly seems fine. One of the things I liked about the new Vita is that the face buttons seem less mushy than the current Vita's. They're a tad clickier, which for some players is an attractive tweak. What's more, some of the button shapes have been improved—most notably the start and select buttons. The new Vita seems light in the hand, which for current Vita owners, who are used to the heft, could feel strange. The handgrips on the back have nice, smooth plastic, which makes holding the machine pleasant. The one design element that I don't like about the new PS Vita is how the LCD screen seems shoehorned in. On the current Vita, the face is a solid sheet of plastic. However, on the redesign, you can see lines that seem to mark were the new screen has been put in. It's certainly not as slick looking as the current model. But it's not a bad redesign by any stretch. Many of the other tweaks, especially with the buttons and soft-touch plastics, are more than welcome.